Like many of you, I read Lysa Terkeurst’s blog regarding the potential loss of her 25-year marriage. Through tears, I read the devastation and pain in Lysa’s words, as she had tried hard to salvage the marriage, suffered through the pain of infidelity, and walked the hard walk of addiction with her husband. I knew what courage it had taken to share that story with the world and how hard that letter must have been to write to her readers. I wanted to hold her hand, hug her, and let her know she wasn’t alone. I wanted to write some earth-moving comment on her social media page that would speak to right where she was and take the pain from her. There was no such comment. Words alone cannot possibly rectify the situation. Words alone cannot bring healing to the broken places of her story. Her journey will likely be a long and hard one, and while we always hope for reconciliation, it may not be possible. But the truth is her journey, behind closed doors, has already been a long and hard one. Lysa is walking a road that millions of women in this country are walking. Having been in single mom’s ministry for more than a decade, unfortunately, I can tell you that Lysa’s story is not unique. Our ministry fields hundreds of letters, emails, and social media posts from women whose lives have been turned upside down by the devastation of divorce or the fear of the potential of one – women who are drowning in sorrow and shame and financial disparity and disappointment and grief – women who never expected to be where they are – women who walked the hard walk of infidelity or addiction or abandonment. This isn’t new news, sadly. We know that the evil one is roaming this earth seeking relationships that he can kill, searching for dreams that he may steal, and destroying thousands of lives along the way. For those who have been called to full-time, vocational ministry, the truth of the enemy’s plot for our lives is that much stronger. He is infuriated every time we take a step to minister to the needs of others and to bring the hope of Jesus to hurting people. He is angered when an altar is filled with women who have now found the love that only our Savior can bring. My prayers are with Lysa and her family during this difficult time. This news, however, has fueled my passion even more, as I’ve seen how the Christian community responded to this tragedy. I scrolled through hundreds of comments on Lysa’s social media page and read the stories of the women whose lives mirror Lysa’s. I read the pain in their words – many of whom are left to raise children alone. So, what are we going to do about it? First, thank you for the prayers for Lysa and her family. Thank you for the encouraging comments that will hopefully offer some sense of peace during a difficult time. Thank you for committing to lift her up, not only this week, but for many weeks and months to come. But what will you do for the millions of “Lysas” in the nation? How can you make a real impact? For a deeper look at single mothers and the local church, check out The Church and the Single Mom. Did you know that an estimated 2 out of 3 single mothers aren’t going to church anywhere? But perhaps more sad than all of that is the fact that many churches, in fact most churches, do not have a formal single mom’s ministry and outreach program. Single motherhood is the modern-day widow and orphan. Single mothers are the mission field, both locally and abroad. What can we, the church—the collective body of Christ, do to minister to the needs of those, like Lysa, who are hurting in our communities? How can we practically serve and offer hope and give solace, as they parent their children alone? What impact can we have? If you are reading this and you attend a church that does not have a single mom’s ministry that meets on a regular basis, start there. Begin the dialogue with a pastoral team member who can begin a program. Single mom’s outreaches begin the evangelism process. Single mom’s ministries begin the discipleship process. We must have both to change lives. I’m thankful for the many, many, many single moms whose lives are touched because churches across the nation see the need to minister to single mothers. 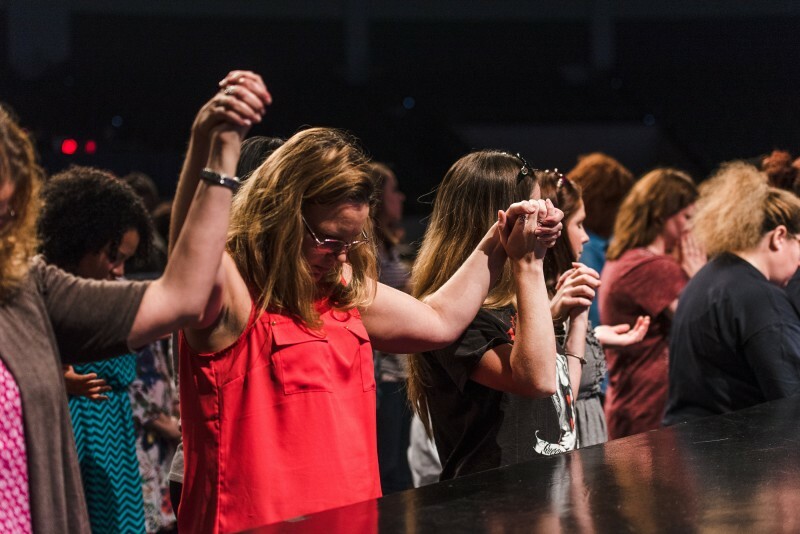 I’m thankful for the current and former single moms…and the friends and family members of single moms….who are stepping up to begin this dialogue with their church leaders about how to be the hands and feet of Jesus. Let us help you. Visit www.thelifeofasinglemom.com for more info on How to Start a Group, Grow an Existing Group, Find a Group to Attend, or tell us about your current single mom’s ministry and let us help you grow it to reach more single moms in your community. No single mom should walk alone. The Life of a Single Mom Ministries is a global nonprofit headquartered in Baton Rouge, Louisiana that has worked with more than 1,500 churches to establish, grow, or improve a single mom’s ministry and outreach plan. We provide free ebooks and online chats with single mothers, encouraging and education for ministry leaders, and dozens of events each year, just to name a few! Our efforts reach more than 72,000 single mothers each year for the cause of Christ. For more information, visit www.thelifeofasinglemom.com. Walking this road in front of me, beside me and behind me. I love this. I was left to be a single mom for over ten years! Raising four children alone after my preacher husband keft me for someone in our church. It’s been such a burden of mine to see the church rise up and minister to single moms!!!! I’m so happy to see this article in print! God bless you for speaking truth! Thank you for this. I have been a single mom for 7 years and am so sad at the lack of programs and resources in the area to connect with others. While I’ve tried to start and support a group a few times, I know that when the time is right God will lead me where I am needed the most. Walking this road together is the only way to make it. Hugs and prayers to my single mom sisters. Lysa TerQurest is not divorced. Yes, her marriage had issues but as of a posting I just saw November 15th she is still married. Lysa TerQurest is not divorced. Yes, her marriage had issues but as of a posting I just saw November 15th, 2018 she is still married.